Copyright © Toxic Games 2011 - 2014. All Rights Reserved. 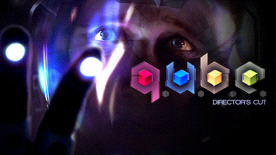 Q.U.B.E., Q.U.B.E: Director's Cut and Toxic Games logos are trademarks or registered trademarks of Toxic Games. LTD. In the United Kingdom and elsewhere.